Originally published in 1981. Risk is a problem which all business decision makers have to cope with. The problem is not insurmountable, however, as there now exist well-established techniques for minimising risk and for calculating which of various available options is the optimal one to pursue. This book outlines and discusses these techniques and the theories behind them. Unlike many economic theories which only rarely have any practical applications, the techniques put forward in this book can be used by real businessmen to solve real business problems. 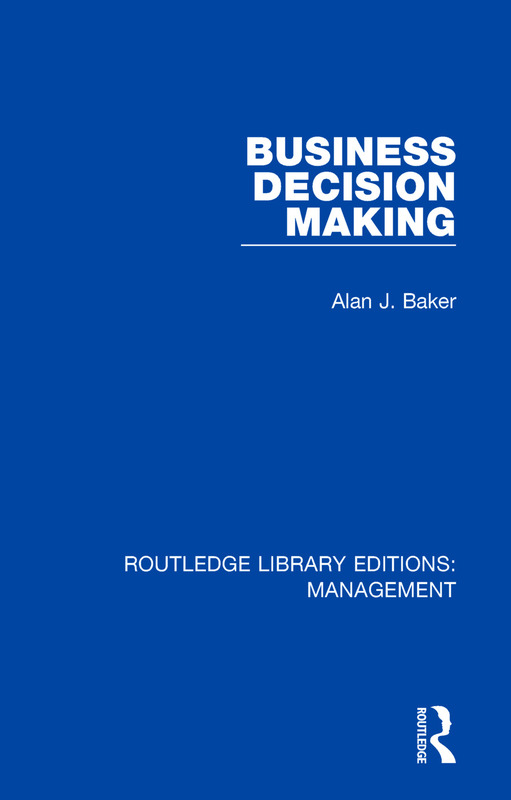 The book concentrates on decision-making in two main areas: the allocation of a firm’s resources and the selection of new investments; and the techniques and theories discussed fall into three broad groups: linear programming, decision theory and capital market theory. Intended as an advanced undergraduate textbook for students taking business economics or managerial economics courses, this valuable book will interest specialists and students involved in management studies, microeconomics, strategic planning, operational research, accounting and MBA programmes.